Once upon a time, there was a man who moved into a house. It was a really nice house, because he worked hard to make it special. His family and friends and the household staff all pitched in to make it a good house. They painted and sanded and nailed. They made sure it had strong foundations and a good, solid roof. That man paid the bills and took care of the ground the house was on. He helped his neighbors when they needed it – even the ones in the poorest of neighborhoods. It was a good house. But then he moved out of the house and another man moved in. And that man did not treat the house the same way. He got a new staff who didn’t care about the house. This new man let cracks form in the foundation. He let the paint peel. His friends & family only made matters worse. They came over for big parties and used up all the resources the house had to offer. They dug holes and kicked in doors. Soon, the house was practically falling down and nothing grew on the land the house was on. The work went undone and the bills went unpaid. The man and his friends didn’t care about the neighbors – especially the poorest ones. Instead of helping them, they went out at night and toilet-papered their houses. They didn’t care about what they could do for the neighborhood or the house. They only cared what the neighborhood & the house could to for them. It was not a good house anymore. But then, after a long, long time, yet another man moved into the house. This man wanted to make the house the grand place it used to be. But it was hard. The last man’s friends kept hanging around and getting in his way. Every time the new man would fix a door or window, they would kick it in again. When he tried to repair the foundation, they got out their jackhammers. For every shingle he put on the roof, they ripped off two more. Every time he would plant a seed on the ruined land, they would dig it up. But the man kept trying. And eventually, he started making progress. But the progress was slow, because of all the obstacles the last man’s friends had put before him, all the while mocking him for not being able to overcome them fast enough. It still wasn’t a good house, but it was getting better. That house can keep on getting better, or it can get much, much worse. It all depends on who lives in it next. I am hoping for the former, because it’s my house, too. 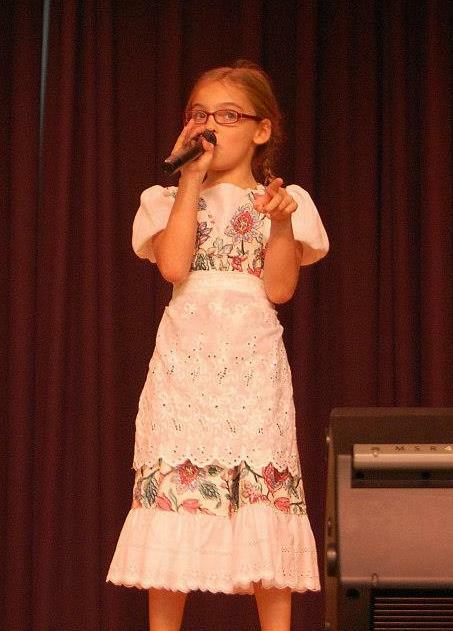 Emily has always been a singer. She sang before she spoke. Not actual lyrics, but from the time she could make noise, she was always making musical noise. 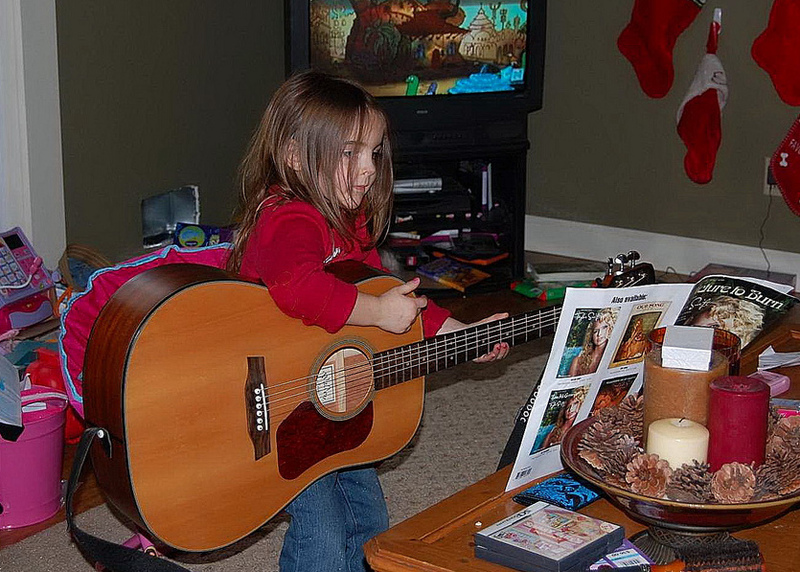 Around two years old, she started writing her own songs. They started off very “two-like” (such as The Grass Song – A Song about Grass), and moved on to her own versions of actual songs (her rewrite of Neil Young’s Cowgirl in the Sand was a favorite), and then to her own originals (one memorable one was called I Want It Back, which was all spurned lover-like, with lyrics like, “It’s not you I miss, it’s me – my life. I want it back”). I am forever finding notebooks around the house with song lyrics written in them. At first, I thought she was just copying the lyrics to songs she liked, but then I started googling, only to discover that they weren’t songs on the radio – they were more of her originals. From the time she was a baby, I always said she was dramatic (oh god, the drama! ), and that she should go into the arts since she’s so outgoing and animated and unafraid of attention and did I mention dramatic?). And it didn’t hurt that she could carry a tune. 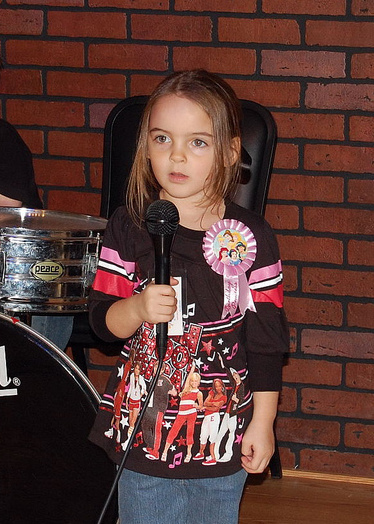 She was a toddler when she discovered karaoke and from then on, if there was a microphone in the vicinity, she was on it. 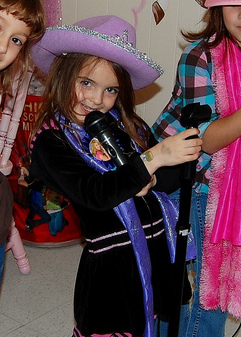 Then, when she was five, she was asked to sing at a travel show, in front of about 500 people. 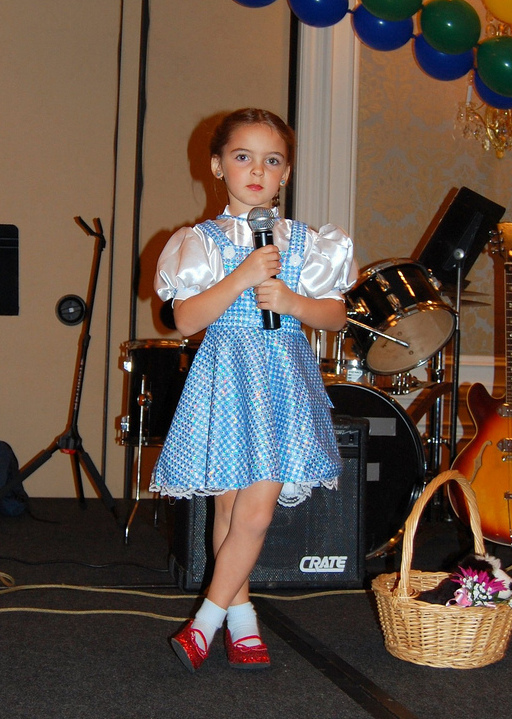 The theme of the show was Wizard of Oz and she sang Over the Rainbow. I was worried that she would see all those people and get scared, but I shouldn’t have worried – she loved the stage. 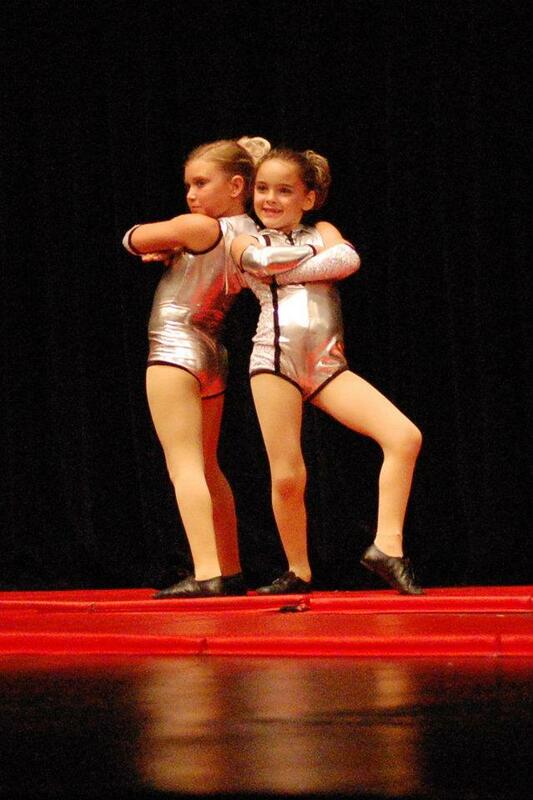 She discovered dance last year and took to it immediately – especially the recital – performing is her favorite part. 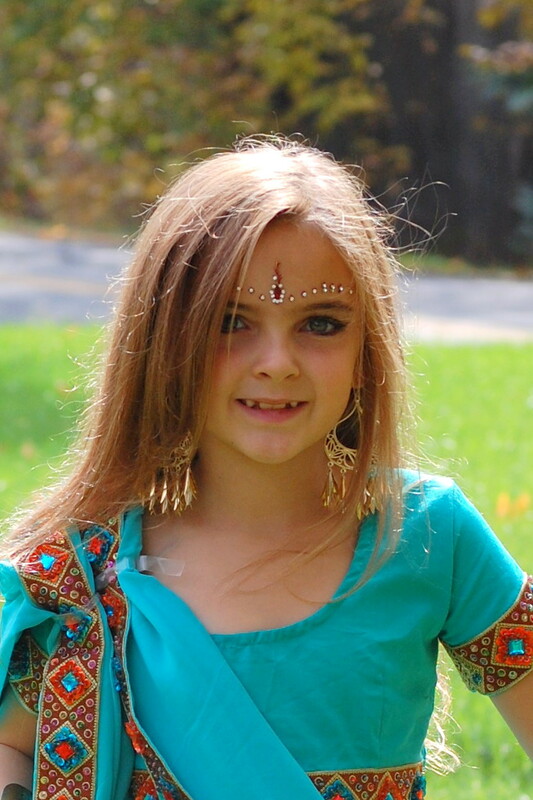 Finally, this summer, we decided to indulge her love of the stage and music and dance and we enrolled her in a summer camp put on by the Pittsburgh Civic Light Opera. 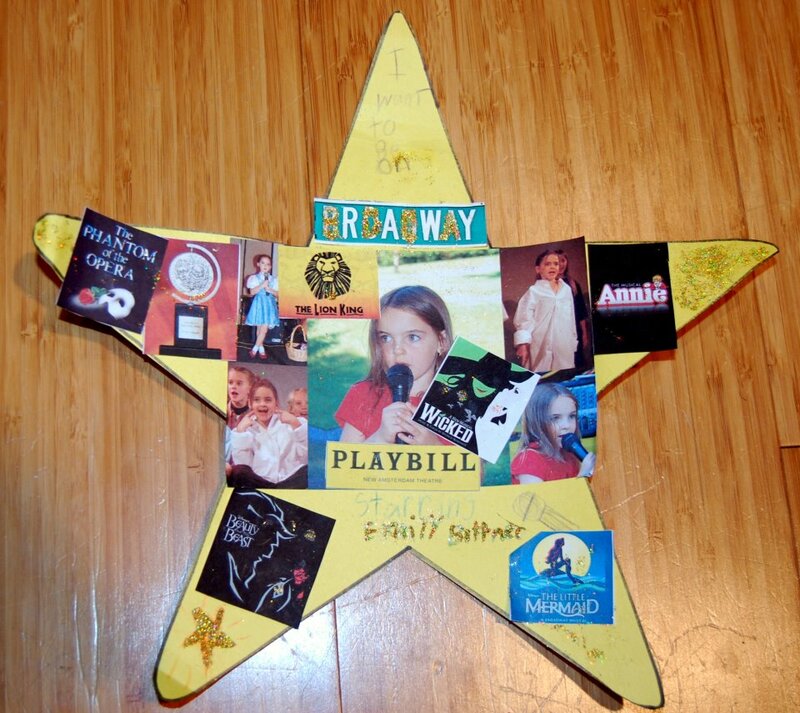 She got a chance to be in their performance of Annie, and if she wasn’t sold already – that did it. Her head was filled with dreams of the stage. 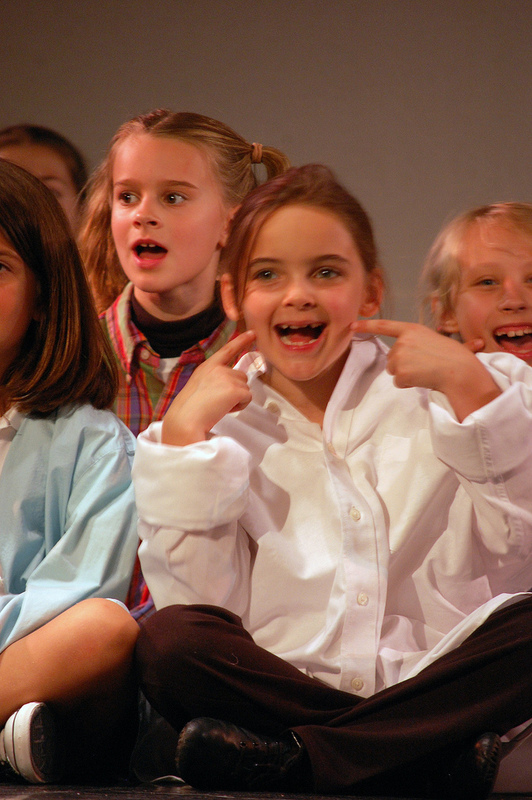 A few days later, she had an audition for a local university’s production of A Musical Christmas Carol. I was worried because her voice still wasn’t back to normal and had my fingers crossed that they would give her a chance to be in the chorus. As we left, they said they would email the next day & let us know. I left hoping I wouldn’t have a disappointed child on my hands, but talked to her about learning to accept that if she wanted to go into this kind of thing, she would have to learn to deal with the ups and downs. I tend to be the kind of mom who supports her kids, but doesn’t go through life with blinders, thinking they are perfect. I’m not a stereotypical stage mom, or a cheer mom, or a dance mom, or even remotely a helicopter mom. I’m more of a realist. 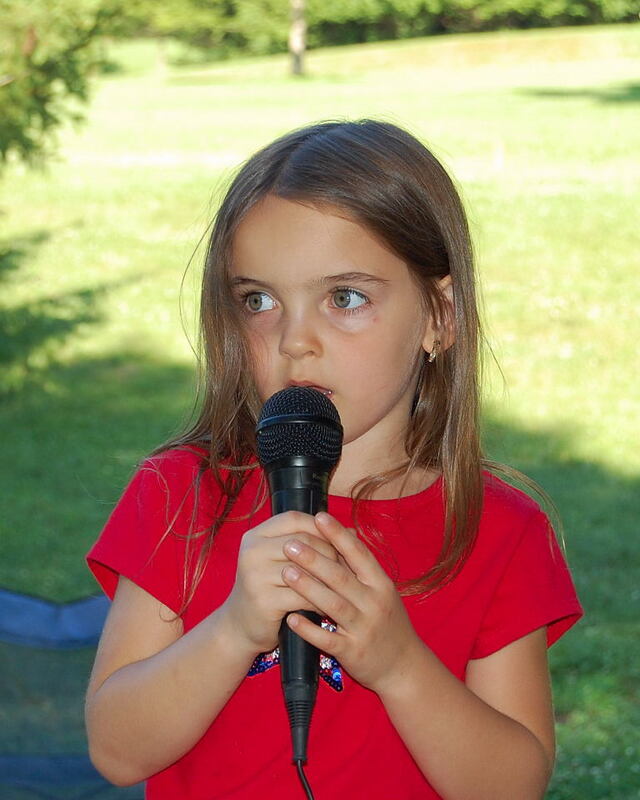 I always knew she had a decent voice – not the best singer or the best dancer, but I also knew she had a sort of presence when it came to performing, although I attributed that opinion to mom-bias. So imagine my surprise a few hours later, when I got a call from the director himself, telling me that he had cast her in a role. He said she had a wonderful voice. That the dance & music people fought over her. That she was the youngest child he had ever cast in a role. He used words like delightful and captivating. He said I should encourage her to follow this path in life. So she performs in December. And she starts at the CLO Academy in January. I’ll never be a stage mom, but I’ll always be her biggest fan. 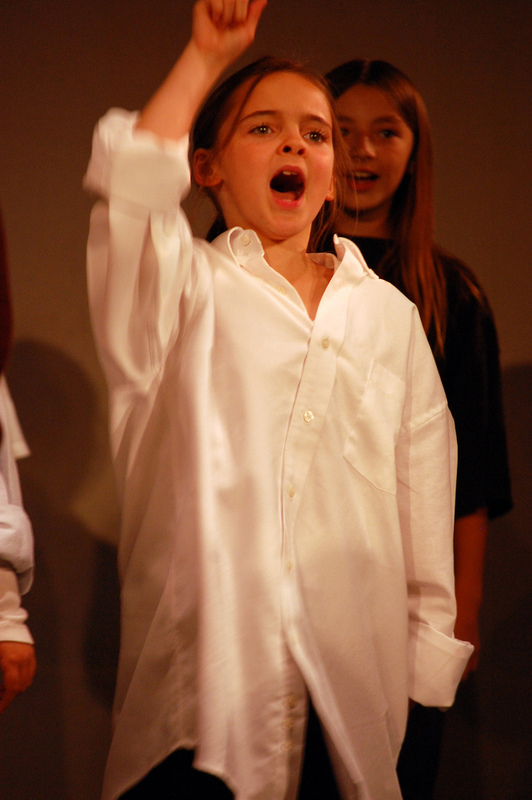 And if she does make it to Broadway, you’re all invited. I’m not much of a dessert person. Don’t get me wrong – if it’s there, I will eat it, but I don’t crave it. Dessert has never been my weakness – I can pass on it quite easily. But for some reason, when fall rolls around, it starts appealing to me a little more. I think because the type of desserts you see in fall tend to appeal to me more – I don’t care much for cookies & cakes, but the fruity, tart flavors of fall pies are what I love. Six pounds of chocolate can sit uneaten, but if it has apricots or berries or apples in it, suddenly, I want dessert. So, when I was in a grocery store last week and saw some lovely, tart, locally-grown apples, I decided I needed to make an apple pie. I’m not much of a baker, except for when it comes to pie. I make a mean apple pie. And berry pie. And (OMG) harvest pie (apples & mixed berries). So, I knew I would want to splurge a little. I had a busy weekend, and knew I couldn’t make the pie until Sunday evening, so watched what I ate all weekend, since I knew one piece wouldn’t be enough. All day Sunday at Emily’s game, I sat in the freezing cold and rain, thinking about the warm, delicious apple pie that I would be having soon. I decided I wanted lots of cinnamon this time – cold fall weather is perfect for it. The thought of this pie is seriously what got me through the long, miserable, cold, wet day outside. As soon as we got home, I got started peeling and rolling and cutting and mixing. And not to brag, but this pie turned out better than any pie I have ever made. It came out of the oven looking perfect – fluffy & golden brown, smelling like heaven. Finally, when it was cool enough to cut, I got everyone a slice and my son was the first one to have a taste. “What’s in this pie? It tastes spicy,” he asked. I know how he is – always being picky about some silly thing, so I told him that I did put a lot of cinnamon in this time, but that certainly wouldn’t make it spicy. And then I tasted it. He was right – it did taste spicy! I was mad. Something must have been wrong with that cinnamon! 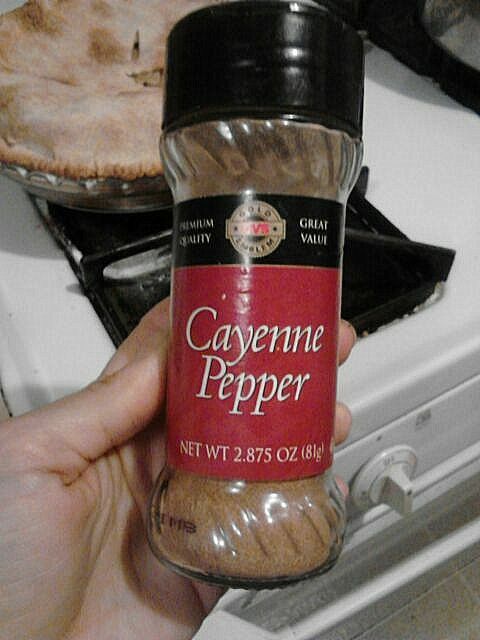 By the time I ran to the cupboard and grabbed the bottle of cinnamon, I went from a tingle of spice on my tongue to an entire mouth and throat irritated and completely on fire. Clearly, I am a genius. And I’m still craving apple pie!